Sunday, November 4, 2018, 5:00-5:30 p.m.
Join us for a community response to the tragedy in Pittsburgh, in support of our Jewish neighbors, and to speak out against all acts of hate. 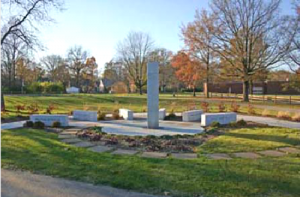 We will meet at Peace Pole Garden in Beech Acres Park, 6910 Salem Road, Cincinnati, OH 45230 (Anderson Township). All are welcome to bring a brief reading to share: a poem, a meaningful quote, or a prayer. Readings will be interspersed with moments of silent reflection. Candles are provided for use. This event is sponsored by Greater Anderson Promotes Peace (GAPP) (www.gappeace.org) and Anderson Churches for Racial Unity (ACRU) (email: acru@cinci.rr.com). If you have questions, talk with Louise Lawarre, or email her at Peace@huuc.net.